Overwiew of regional context and its opportunities. The development model of Tuscany, characterized by the presence of major industrial discricts, has evolved progressively towards a system based on leading companies in close relationship with efficient sub-supplying companies. It is noted that there are already approximately 400,000 companies in the region. Tuscany heavily specializes in the production of personal and household goods; to date, 5% of employees in the manufacturing industry are employed in the production of textiles, clothing, leather goods, footwear, jewelery, and furniture. 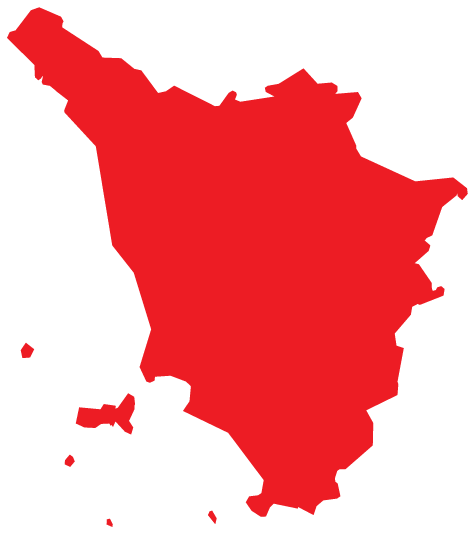 In addiction, the Region of Tuscany has strong leadership in both the food industry and in the mechanical sector (there are many leading companies in these sectors that have chosen the Region for their business headquarters). Tuscany has a strong presence in international markets both in Europe (mainly in Germany, France and the United Kingdom) and outside Europe (around 17% of exported goods are turning to the US market), covering 8% of italian exports. Every year the Region of Tuscany welcomes approximately eleven million arrivals of which a third are foreigners. Two main tourist flows, one aimed at art and the other one aimed at the seaside resorts are showing record growths.